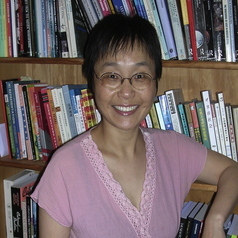 Wanning Sun FAHA is best known for her research in a number of areas, including Chinese media and cultural studies; rural to urban migration and social change in contemporary China; soft power, public diplomacy and diasporic Chinese media. Wanning is the author of a major report Chinese-Language Media in Australia: Developments, Challenges and Opportunities (2016). She is currently leading an Australian Research Council Discovery Project “Chinese-Language Digital/Social Media in Australia: Rethinking Soft Power (2018-2020). Wanning is also co-hosting (with Peter Fray) The Middle, a weekly radio program on Sydney 2ser on Australia-China relations.